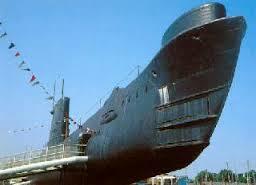 I HAVE ALWAYS been fascinated by submarines but not to the extent of serving in one! Equally, I have always admired those courageous and/or mad enough to do so. One such individual, a navigational officer, Michael Highwood, was kind enough to show me around the Submarine Museum and HMS Alliance, a 1947-1973 ‘A’ Class submarine, at Gosport the other week and it just confirmed all my aforementioned thoughts. HMS Alliance – scary. She looks enormous from the outside but you can’t swing a guinea-pig inside. 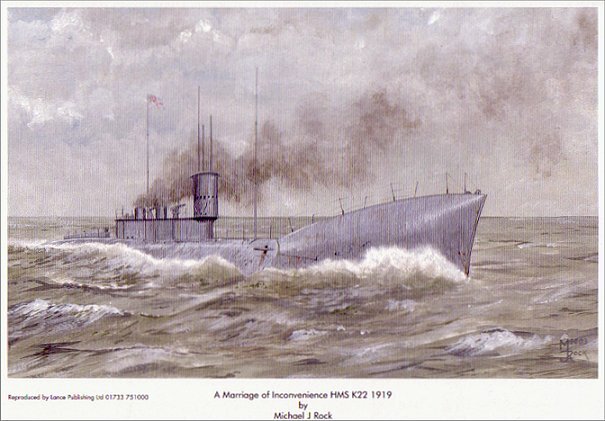 This brings me on to my tales of submarine woe – the WWI ‘K’ class sub. This has got to be the worst ever RN vessel design. If ‘K’ dosen’t stand for the designer whose name should be Klot, it should certainly stand for Katastrophe. 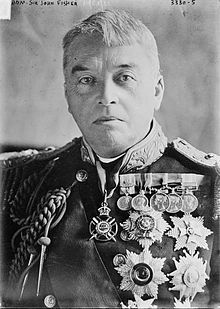 During WWI we had various types of ‘conventional’ submarines but Admiral Lord Fisher, the First Sea Lord, was keen to build a large and fast submarine to accompany the Grand Fleet. He commissioned the design of the K class. They were to be longer than a football field – over 100 yards – three times the size of the, then, existing British E class submarine. It was not a good idea. 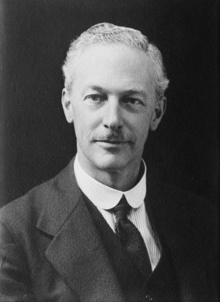 The Director of Naval Construction, Sir Eustace Tennyson-d’Eyncourt, came up with the design for ‘K’ class submarines and to satisfy Fisher’s need for the submarine to achieve at least 20 knots on the surface (to keep up with the fleet) he decided that they would have to be driven by steam turbines with funnels. Yes, funnels on a submarine. On diving, the two funnels folded back into wells which were sealed with hatches. Even so, I’m no ship designer but even I can see possible problems on the surface with heavy seas entering the funnels and putting the boiler out …. Yep, with a submarine with funnels, there must be trouble ahead. K3 was the first to be launched around May 1916 with Prince Albert, the future King George VI, on board. When she tried to dive she sunk head first to the bottom with her stern above the water line with propellers spinning wildly in the air. Luckily no lives were lost – just face. Drowning Prince Albert would definitely have been be a little embarrassing for the Royal Navy. K5 disappeared for no known reason, on the 20th January 1917, in a mock battle in the Bay of Biscay. Wreckage was found and it was assumed she must have exceeded her maximum depth. K13 (now who is going to want to serve on a boat numbered 13? ), on 29th January 1917, dived at Gaire Loch. The boiler room flooded (those funnels again?) and the sub sank to the bottom. Following an incompetent rescue mission, sadly 25 lost their lives. She was salvaged and renumbered K22 (no, not finished with her yet). K4 ran aground at Walney Island also in January 1917 (and not finished with her yet). K4 was then rammed by K1 on 18th November 1917 (and still not finished with K4 yet). K2 suffered an internal explosion and caught fire. There were no fire extinguishers on board (surprised?) but, fortunately, she was able to surface and the fire was extinguished with buckets of sea water passed down hand-to-hand (don’t even ask!). K6 sat on the bottom with a failed compressed-air system. She was fixed and refloated but this did not bode well for what was her her trial run (shall we have another go?). K 14, on her trial run, developed leaky plates and electrical fires – but that was to be the least of her problems (more on her below). The above last three incidents were just examples of problems that occurred on all of the first thirteen K class boats during their trials between January and May 1917. There’s more. 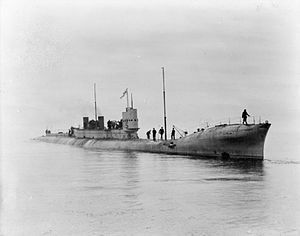 June 1917, four K class subs were involved with an anti-submarine sweep in the North Sea with destroyers and conventional submarines. During the ten day operation no U-boats were destroyed, yet the Germans sunk nine British merchant ships who were supposedly being protected by the British force. But there was action: in the confusion, K7 was identified as a German U-boat and depth charged, fortunately unsuccessfully, by two British destroyers. 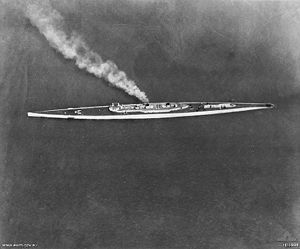 She (K7) then found a genuine U-boat and fired at it with a torpedo at point blank range, hitting the U-boat but no explosion followed. K2 was reported lost with all hands by the Fair Isle lighthouse who had seen the submarine suffer an explosion, believing her to have hit a mine. The Admiralty sent out telegrams with the bad news to the crews’ next of kin who were naturally all devastated. Two days later the submarine appeared unidentified at night at Skapa flow causing a general panic as no one recognised it. Fortunately no one fired on her. The explosion the lighthouse had seen was K2 firing its gun at the lighthouse! First of all eight armed trawlers mine-sweeping in the Firth approached the fleet and a mist appeared. Ithruel lost visual contact with Courageous and went off-course. 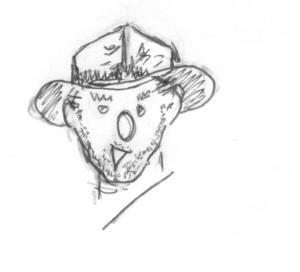 There then came confusion among the five K subs. They were trying to follow Ithruel’s lights but were bewildered by the flashing navigational lights of the trawlers. K14 tried to avoid the trawlers by going hard to starboard, but in the process jammed her helm. Her commander stopped engines otherwise he would be going around in circles. K22 (the salvaged K13 above), steaming at 19 knots (despite the mist), ploughed into K14. The battlecruisers (five miles behind) were soon bearing down blind on the carnage caused by K22 and K14. The battlecrusier, Inflexible, as its name perhaps denotes, ploughed into K22. Behind Inflexible came the cruiser Fearless and the four other K subs, all at full speed. Fearless rammed K17 and sunk her. Also moving at full speed was K6 as it crashed into K4 (the one mentioned twice, above), which for some strange reason had stopped and had no lights on. She sank and nearly took K6 with her. 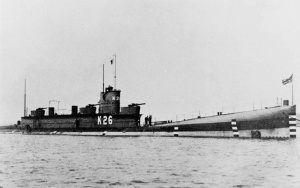 Desperate attempts were being made to rescue the crews of the sinking K subs when the tail-end escorting destroyers appeared and blindly ploughed through the survivors of K17. The tragedy of this unnecessary loss of life and destruction is difficult to comprehend. 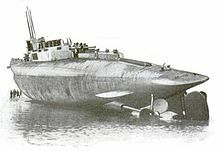 Rear-Admiral Ernest Leir commented, “The only good thing about K boats was that they never engaged the enemy.” It makes you wonder whose side Tennyson-d’Eyncourt was on when he designed the K class submarine. 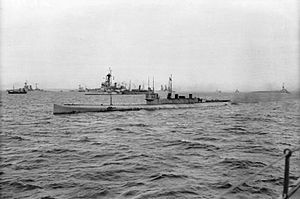 German U-boats caused a great deal of trouble at the beginning of the war and Great Britain had to come up with a way of detecting their presence. The solution was to sail the merchant ships in convoy supported by warships. However, before this was decided upon, the public were encouraged to come up with ideas. Well-meaning as some of them were, one or two were, shall we say, not all that practical. Suggestions included the training cormorants to drop bombs, seagulls to spot periscopes, and sea-lions to spot U-boats. 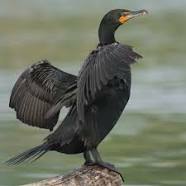 How these birds and sea-lions were going to distinguish between U-boats and allied subs and then (with regard to the latter two) communicate to the authorities wasn’t explained! 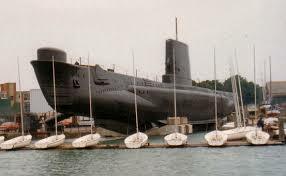 In saying that, on the sea-lion suggestion, apparently the Royal Navy expended some effort – and sea lions – in a feasibility study ….. (if you don’t believe me, read Peter Lawrence’s book on A Century of Submarines, Tempus, 2001). “My neighbour knocked on my door at 2:30 am this morning. Can you believe that, 2:30 am?! ← Ill Met by Moonlight: Hollywood fact or fiction? I take it that all the crew of K5 lost their lives? We didn’t get over to the submarine museum a few weeks ago because we spent so long on the Mary Rose, but it’s on the agenda for our next visit. Yes, I’m afraid K5 sunk with all hands. Thank you Tony. Hope you enjoy E class subs in the Dardanelles next week.